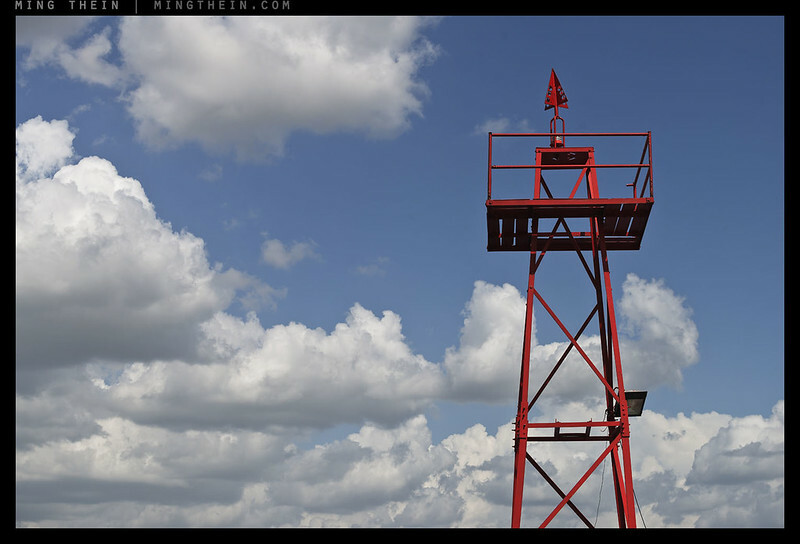 Today’s photoessay is the second part and conclusion of the previous photoessay-review. 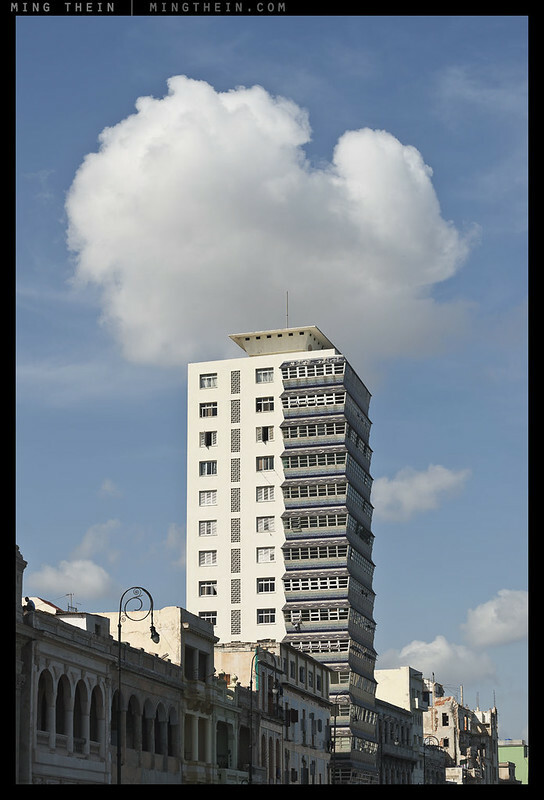 It’s a little broader in scope and less human-scale than the previous one; this is deliberate as there’s definitely an element of the brutalist in Cuban architecture; my theory is that it’s the influence of socialism. You may find the majority of these images to feel toned; that’s mostly a consequence of atmospheric conditions: the best hours of the day to shoot proved to be early morning and late afternoon/ evening, both of which were extremely warm. In any case, I believe it fits the feel and mood of the city well: it’s just a lazy afternoon kind of place, even when it’s ten in the morning. I’m going to stop looking for excuses why I was lighting up a cigar at 9.30 now. This series shot with a Nikon D800E and 70-200/4 VR. Enjoy! Great photos. I like very much “Sunset” and “Parasol”. Also “Raise The Flag” and “Dusk”. 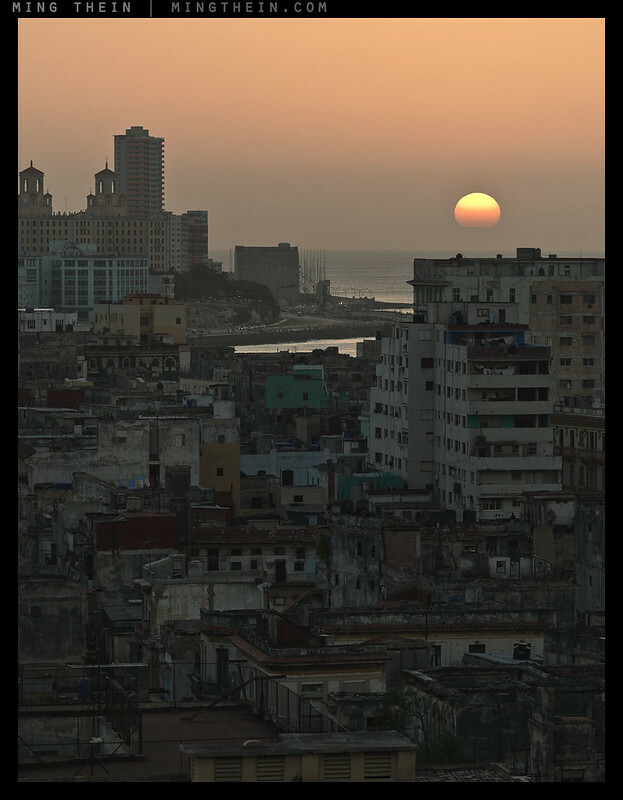 Ming: In your first shot, the building on the water on the malecon to the left of the sun is the “Swiss Embassy US Interests Section”. Do they still have the anti-US bill board in front? They were kind of bizarre. 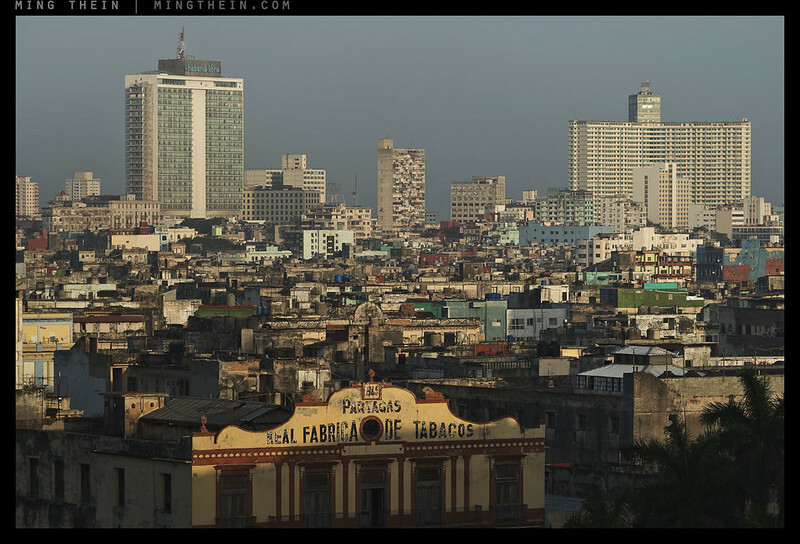 I see the Nacional layered in front too. Best cigar I ever had was made for me by the old ’emeritus’ roller with gnarled hands in the basement. There are no Swiss there, but it flies the Swiss flag in a clever bit of diplomatic sleight of hand. 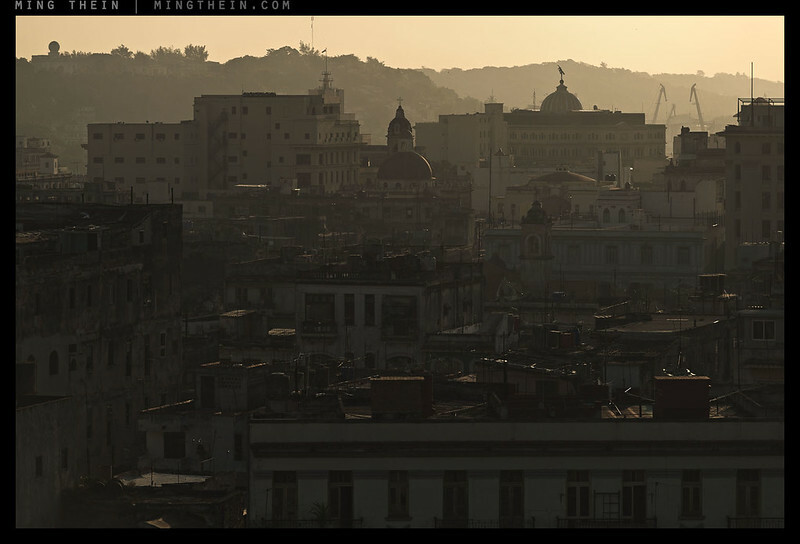 It was built as the US Embassy, quite large and finished around the time of the revolution. We never really left. Anti-Imperialism Park is in front of the building, the flag poles in your shot. It used to have some big, old school propaganda billboards in there, too. Have you tried working with “Dawn” as a B&W? I realize the photo is already predominately monochrome but the repetition and patterns of the roofs might really jump out after a B&W treatment. The more monochrome something is, the more you need the little remaining color to provide tonal separation. Sorry, Ming, but one voice of less-than gushing flattery perhaps can be raised… I just don’t get these. 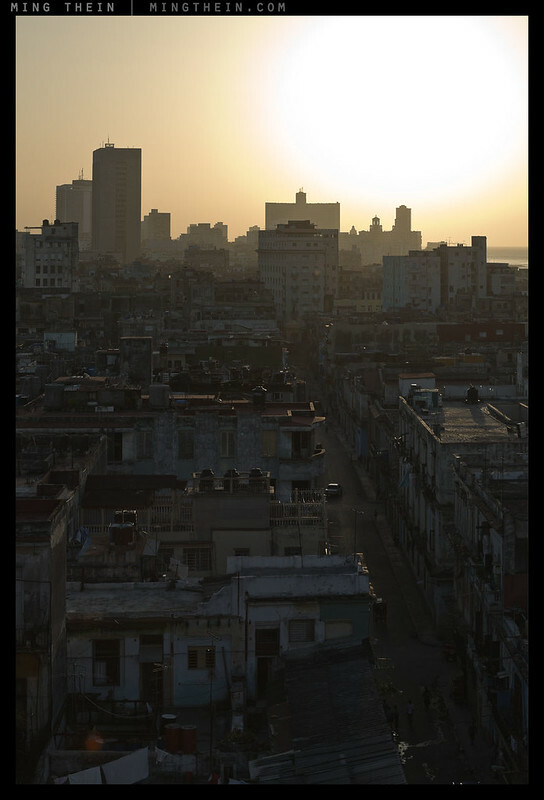 Especially the sunset images with huge amounts of barely visible, underexposed rooftops. What’s the point? Many a soul-less picture can at lest be admired for perfect technical execution. These, I’m not sure. The climate might be warm, the images leave me cold. But hey, that’s just an opinion. 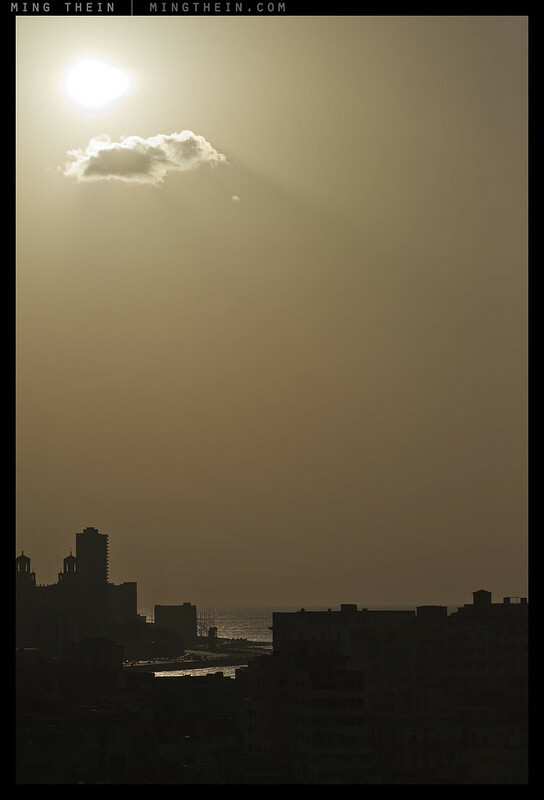 Photography is personal and subjective, of course. But I’m wondering if your monitor isn’t calibrated properly, as the exposure looks just fine here (well, as I intended it, at any rate). 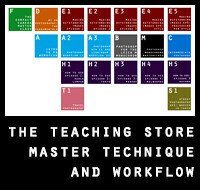 I have now seen the images on my MacBookPro as opposed to an iPad. Yes, plenty of detail in the shadows, so I’ll take back (most of) my criticism. But still in my mind that blazing sunset sky detracts from the images. See http://www.miamiherald.com/2014/05/23/4134730/former-bodyguard-to-fidel-castro.html. Summary: Fidel tells his people he lives a frugal life on 900 pesos or about $36 American dollars a month. According to defectors and his former body guard, Castro controls 20 luxury homes, a Caribbean island getaway with a pool in which dolphins swim, the 88-foot yacht Aquarama II and several fishing vessels. Castro is said to control several numbered bank accounts abroad as wall as the finances of several state enterprises including a small gold mine in the Isle of Youth. His estimated worth is hundreds of millions of dollars and Forbes magazine finally included him in its 2006 list of richest Kings, Queens and Dictators. Its tempting to want to be a dictator somewhere so I could have all the lenses I want and travel the world taking photographs… all on the peasants dime. Congrats on getting in and out of the country and staying out of jail. Great images also as always. To a degree is the same all over the world. Hypocrisy and lay seems to be part of political power. Sorry for making this kind of statement here, Ming. Don’t be; I agree with you. Dark is dark and bright is bright and color is color. It’s not that easy as it sounds. Great learning. 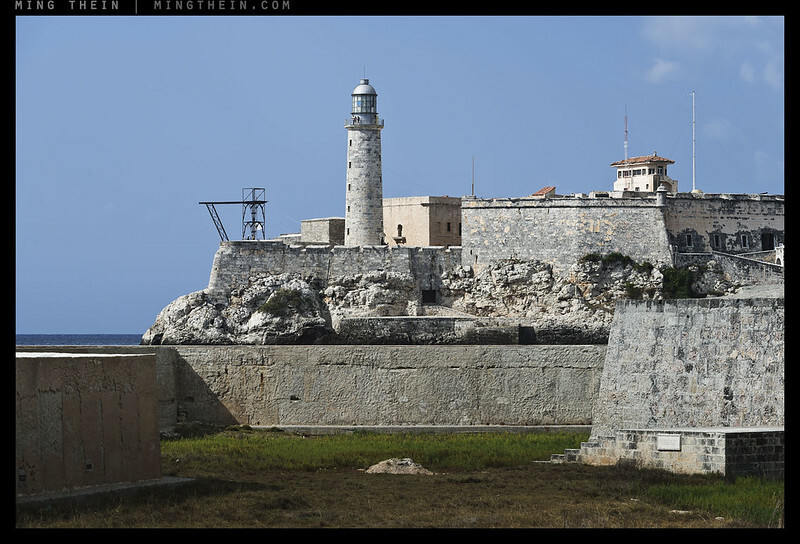 Is that a diving board on the lefthand side of the fort? Just terrific pictures! Paints such a vivid picture of the city. Did you find any issues with haze (KL style 😉 hanging over the city, either in the morning or evening? Great detail in the shadows, although the smiling building was nearly lost on me but became apparent after a double take. (I wasn’t reading the captions.) 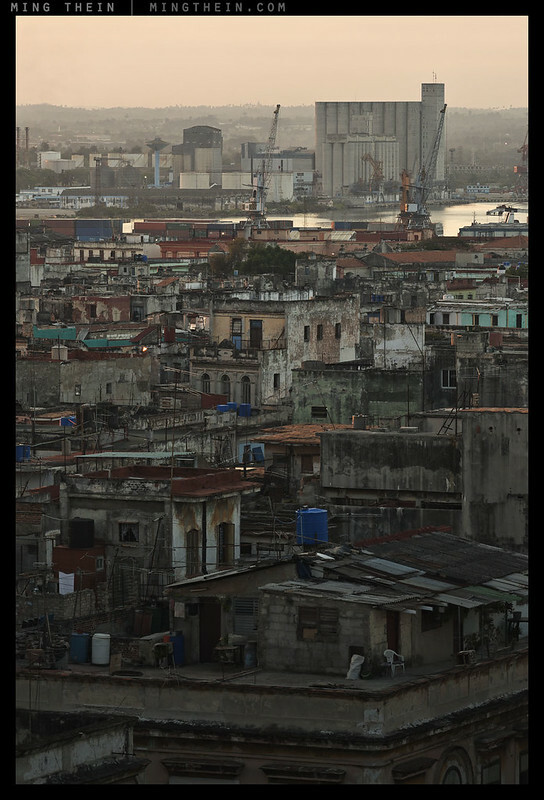 My favorite of the series is “Underpinning the Cuban Economy,” due to the foreground interest. Great light too. One thing (among many) I like about your pictures is the colour. It always looks natural and not like the typical over-saturated mess that we often see with many photographers. Subtlety in photography seems to be close to a lost art, but I’m glad that someone’s still trying to do it! My hats off to you..for the wonderful pics.. the effort you put to capture these glorious moments.. keep doing the great work..
Nice batch of urban scenes. Some lovely shots that really give a sense of the place. I particularly like the warmth, texture and shadow play in the bottom 3. Great job! 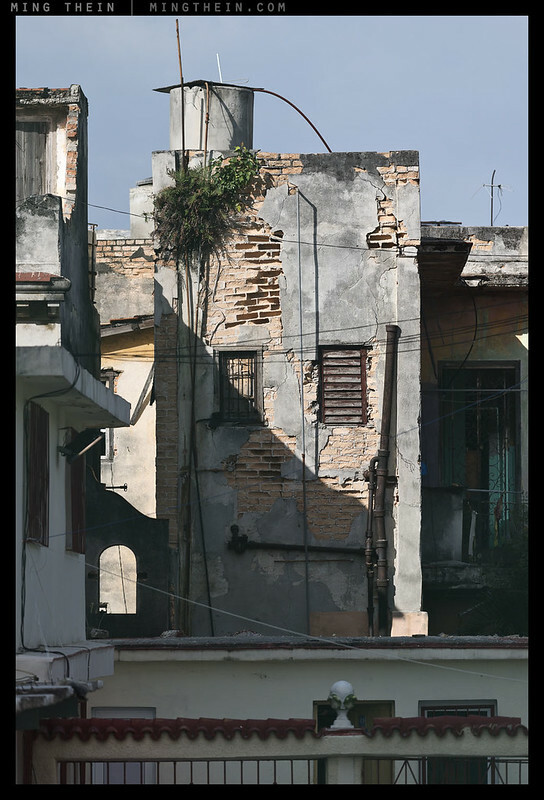 the color, the house without repair, poverty..
Often times the only shots from Havana that are displayed are of the 1950s American cars or young boxers (an idealized and romantic view). 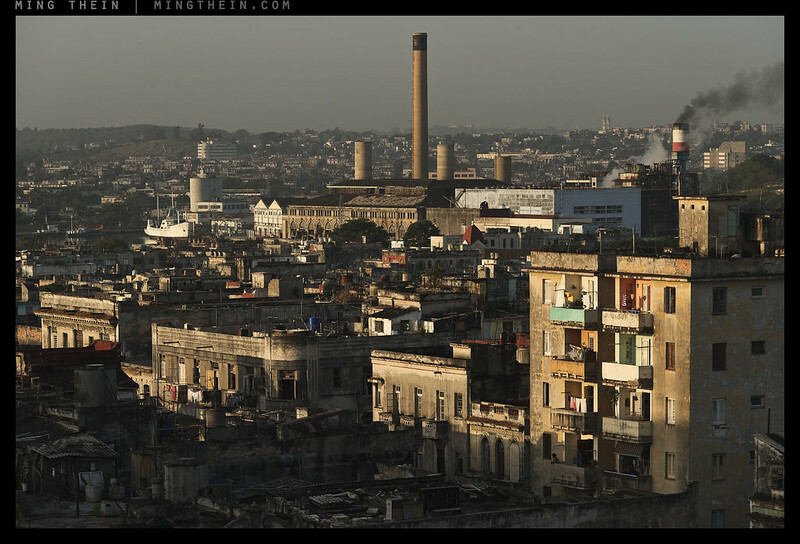 You have done a masterful job of capturing the decay and grit of a city that appears to be very poor and neglected (and I write this without trying to render any judgement on the Cuban system of government OR the morality of the more than half-century and counting American embargo). I’ve got those too, because they’re everywhere and almost unavoidable; but thank you. 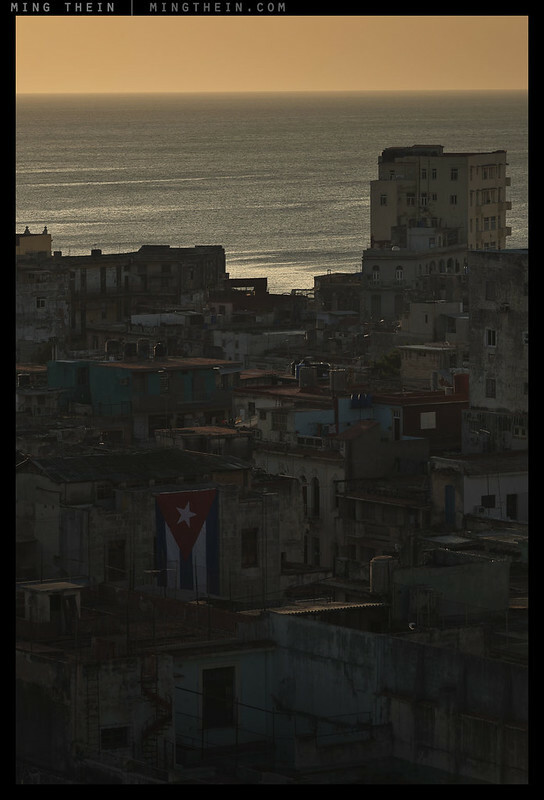 David Alan Harvey’s “Cuba” may be something you may want to peruse, Guy. It’s hands down one of his best portfolios in a long and illustrious career with Magnum. Someone looking over my shoulder just said. He is in the right place at the right time, all of the time… 🙂 Great Shots! Hi, Ming. In fact it should be nice to show some mistakes just to encourage us (or at least me) to let them (our own mistake) go as a necessary part of the process. Why would I show a substandard image when it may well be taken out of context and attributed to me later? What about watermark those all over with the word “MISTAKE”? (I don’t know how to put a “smile” here). Seriously, you’ve reason, of course.